Francis I died in Naples on this day in 1830 after having been King of the Two Sicilies for five years. The Two Sicilies was the largest of all the Italian states before unification, originally formed as a union between the Kingdom of Sicily and the Kingdom of Naples. It lasted until 1860 when it was annexed by the Kingdom of Sardinia, which became Italy in 1861. The Two Sicilies originated when the Kingdom of Sicily was divided in 1283. The King at the time lost the island of Sicily but kept control of his part of southern Italy, which was also referred to as Sicily. The Two Sicilies had capitals in Palermo and Naples. After Francis succeeded his father Ferdinand I in 1825 he took little part in government and lived with his mistresses in constant fear of assassination. He is remembered for getting the Austrian occupation force removed from Naples, where it had been billeted at the expense of the treasury, and for founding the Royal Order of Francis I to reward civil merit. We are fortunate to have been left with an impression of him by Lady Blessington, an English aristocrat, who lived in Naples between 1823 and 1826 and kept a fascinating diary of her time there. In July 1823 she encountered Francis while he was still Prince of Salerno and heir presumptive to the throne. After King Ferdinand died, Lady Blessington wrote about being taken to see him as he lay in state, remembering him as a ‘good-natured man’. King Francis and the rest of the royal family moved to the palace of Capodimonte near where Lady Blessington was staying. She writes: “…the route is filled by the carriages of the ministers of state, officers of the palace and courtiers, hurrying to worship the new king and totally oblivious of the departed one. Lady Blessington’s doubts about Francis’s health proved to be well founded. He died on 8 November 1830 aged only 53. The Royal Palace of Capodimonte was the summer residence of the Kings of the Two Sicilies. The palace and park in Via Miano now house a museum and art gallery open to the public daily from 8.30 to 19.30 but closed on Wednesdays. 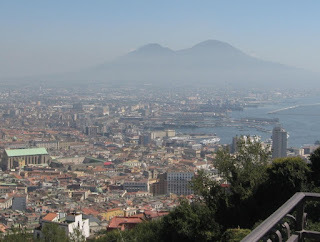 You can take the funicular railway up the hill to Vomero for fine views over the city and the bay of Naples. 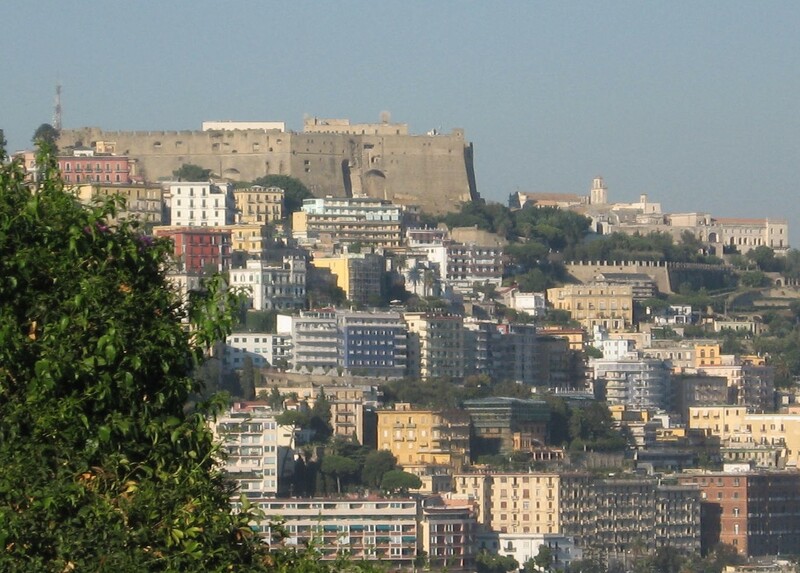 It is well worth visiting the 14th century Castel Sant’Elmo for the views you will have from its vantage point.